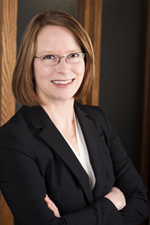 As a director of McIntyre & Associates, Jennifer oversees assurance services. Her expertise in the area of financial reporting and assurance services enables her to provide quality, leading-edge business advisory services to clients of all types. Jennifer is also responsible for the firm's quality assurance practices - ensuring that all engagements are conducted in accordance with the standards of the profession and that the highest quality of work is performed on every engagement. Jennifer began her career as an accountant in 1985. She holds a Bachelor of Commerce from Carleton University and joined the firm after obtaining her Chartered Accountant designation in 1987. Jennifer enjoys hiking and spending time in the outdoors with her family.